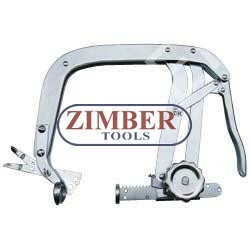 Presa pentru arcuri de supape ZL-1713 -ZIMBER.Scule speciale auto - ZIMBER-TOOLS.BGS technic Germany. FORCE.JONNESWAY. Presa pentru arcuri de supape ZL-1713 -ZIMBER. * Compressor valve springs on overhead valve and L-head engines on cars, trucks and tractors. 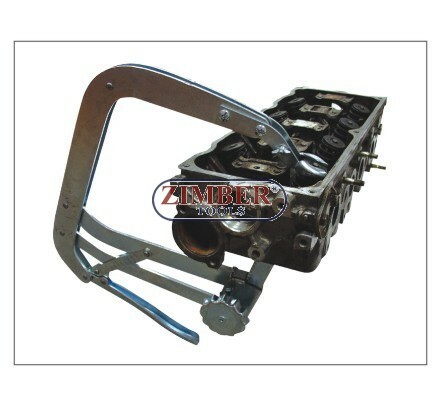 Tool has a 9-3/4" throat depth and jaw openings 2-3/4 to 7-3/4" fit larger engine sizes. Jaws and plunger bar are easily adjusted. Plunger bar seats on both flat-and cup-shaped valve heads.